A trap I see most founders make. Especially technical ones. Because you want potential customers to understand why they should buy your product, you push information about the product to them (marketing). Even though that might intuitively sound like a good idea, it won’t work. Because you don’t know enough about the customer’s pain, goals and objections to be able to push them the right information. Instead, you should be pulling information. From the customer (and about them) to you. Marketing isn’t the right way to do that. When you do marketing, you show the potential customer some information and only get a ‘yes/no’ answer back. That isn’t a good way to pull information and learn about your customers. So you should do sales instead! After all, it does seem counterintuitive that the best way to find customers for your product is not to focus on telling people how great your product is. I struggled with how to explain this to founders in your situation for a long time. Finding your first customers is like playing Battleship. 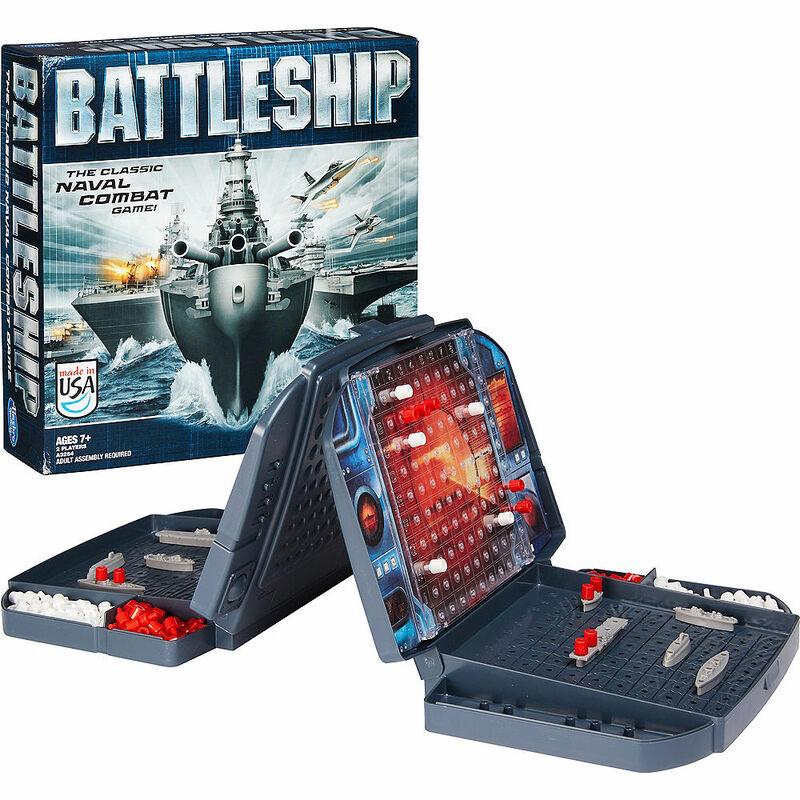 Basically, the objective of Battleship is to guess where your opponent’s ships are placed on a grid. All you get back is a “yes/no” answer. Well it should – this is exactly how you should view marketing/pushing information about your product onto customers in the early days! Just like in Battleship, you make an assumption about the other person. And all you get back is a “yes/no” answer. Battleship has known constants. But in real life, you don’t know the size, number or shape of the ships belonging to the other person. In fact, you don’t even know the size of the board or, come to think of it, if the other person is even playing Battleships at all! In Battleship, you have an artificial handicap – you aren’t allowed to ask more detailed questions. And that makes sense – the game would be over too fast. In real life, you want the game to be over fast! And unlike Battleship, you’re on the same team as the other player. They may not trust you at the beginning (after all, they can’t see your board either). But – if they have any ships – then they want you to sink them! At the beginning, you should be focussed on asking questions which help you work out where the other player’s ships are and sink them quickly. You want to find out more about that player, and why they have their ships in that location in the first place. You should start noticing patterns. Pretty soon, you’ll go into a game of battleships and, if you know the kind of person you’re playing against, you could probably sink a few of their battleships without having to ask any questions at all. Just based on your experience and what you know about them already. That’s useful, because as you grow your company, you might have to play hundreds and thousands of games at once. And you won’t have time to ask these detailed questions and listen to the answers any more. That’s how you move successfully from a sales-first acquisition strategy to doing more marketing. 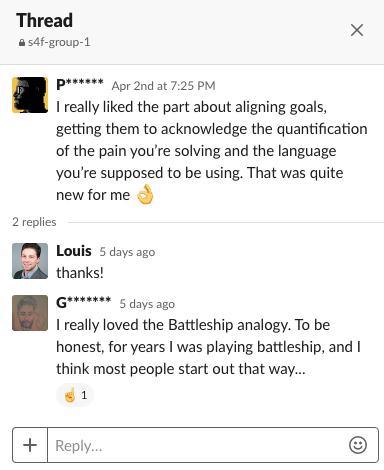 Something I’ve noticed is that one of the worst things that can happen to a founder is they start playing Battleship by the rules and immediately score a hit. In other words, they start doing marketing and somehow manage to make a sale without knowing why. Convincing this founder that they got lucky by accident and need to go back and learn more in order to make further sales is so, so hard. And that founder will suffer for much longer than necessary because of it. If you want more, actionable advice on how to find your first customers, check out this interview I did with Stephanie Hurlburt, cofounder of Binomial. We talk about how she went from being a technical founder with no sales experience to closing 7-figure deals.